I have some pretty serious tactile issues. Some things I just do NOT want to touch. Like slimey things.. or gooshy things. 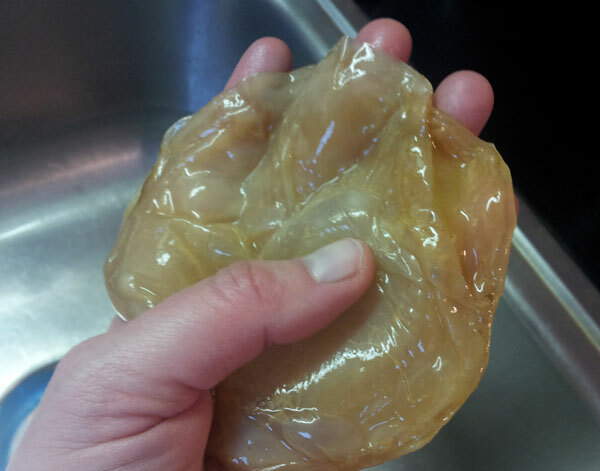 This is the reason I refused to even consider trying to make kombucha. I mean.. This is the “pretty” side. just … look at it. 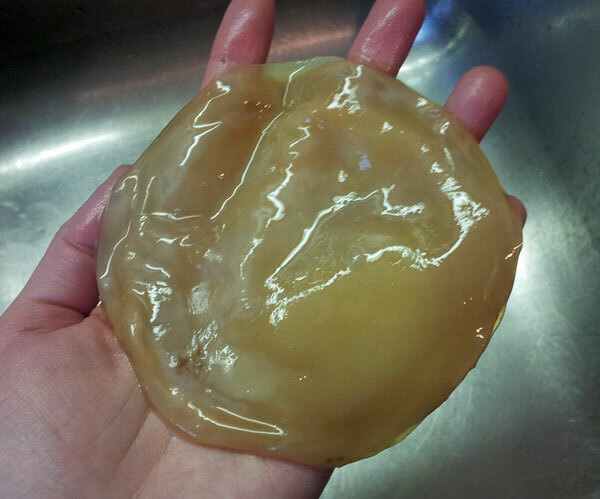 That’s a kombucha scoby. Scoby is an acronym for Symbiotic Culture Of Bacteria and Yeast. It’s a leathery, sort of floppy disc and sometimes it has stringy thingys hanging off of it… like a jellyfish.. a jellyfish that makes stuff you drink… on purpose. srsly. I didn’t even seek out a scoby. I would buy kombucha and drink it because.. YUM. It’s definitely an acquired taste. 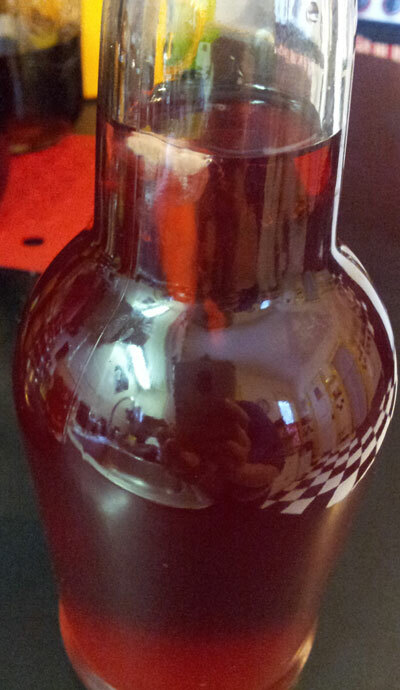 If you like vinegar.. and I do, then you can develop a taste for the ‘bucha. Basically, that glob of a scoby sits in sweetened tea, eats the sugar and makes an acidic tea loaded full of probiotics and other kinds of interesting stuff some of which is really good for you although evidently the jury is still out. The only reason I have a scoby at all is because someone I know from Instagram commented on my milk kefir grains (that’s a future post) and offered to trade some for some water kefir grains (that’s ALSO a future post) and insisted that I take a scoby as well. These cuture things like to grow and grow and grow. At the time of this writing, I have three scobys.. scobi… scobies.. whatever the plural of scoby is. I really expected to just toss the kombucha scoby away and use the water grains only. Boy howdy was I wrong. After I poked the thing a few times, I sucked it up and picked it up. That’s right, non organic, commercially grown tea by Lipton. Nothing fancy. There are a lot of methods out there, but I tend to take a few shortcuts. I’m not saying that my way is the best way, but knowing how I tend to forget to do things ahead of time, my way works for me. Some people would be horrified…HORRIFIED to know I use Lipton tea bags, store brand sugar and Albany City water (filtered). I left a Facebook group that was practically worshiping their scoby.. there were lots of reference to Jesus and the evils of commercial products and it was kind of getting on my nerves… they were all judgy face about my choices so.. buh bye. 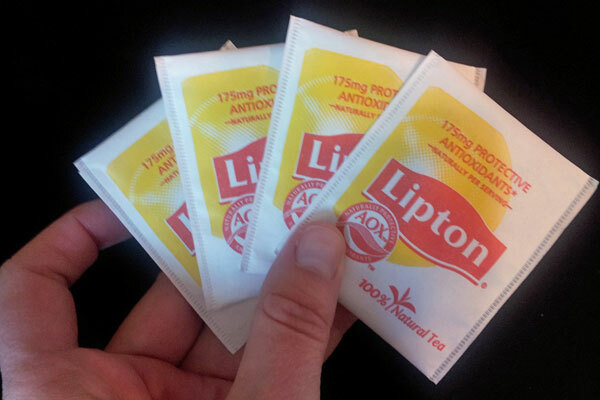 I heat up 2 cups of water in the microwave (yes, the dreaded microwave) and when it’s boiling, I drop in 4 lipton tea bags and cover it. 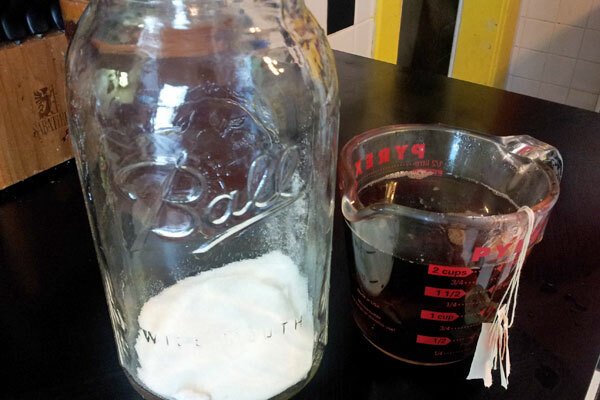 While that is steeping, drop 1/2 cup of white sugar into a 1/2 gallon mason jar. After the tea steeps for at least 15 minutes, I pour the tea into the jar and stir until the sugar dissolves. Then I add cold water to make 6 cups in the jar. That quickly cools it down. The sweetened tea may still be warm so I let it chill out until it’s room temperature. Then I pick up the scoby from the existing batch and plunk it into the new jar. Then I pour one cup of the kombucha from the old batch and add it to the new batch. This helps prevent molding because you’re keeping the environment acidic. The other thing I do that freaks people out? I use a lid. Now, the scoby needs oxygen so my lid isn’t tight. I used a screw on plastic lid from the ball jars but I leave it very loose. This way I’m not using coffee filters or papertowels that I would be throwing out with every batch. I’ll be interested to see what happens in the summer when the fruit flies are out. I guess they love this stuff. I usually leave my kombucha scoby to ferment for about a week. That’s the right acidity for me. You can leave it longer and make it more vinegary, or less time if you like it sweeter. It will also depend on the external temperature as well. 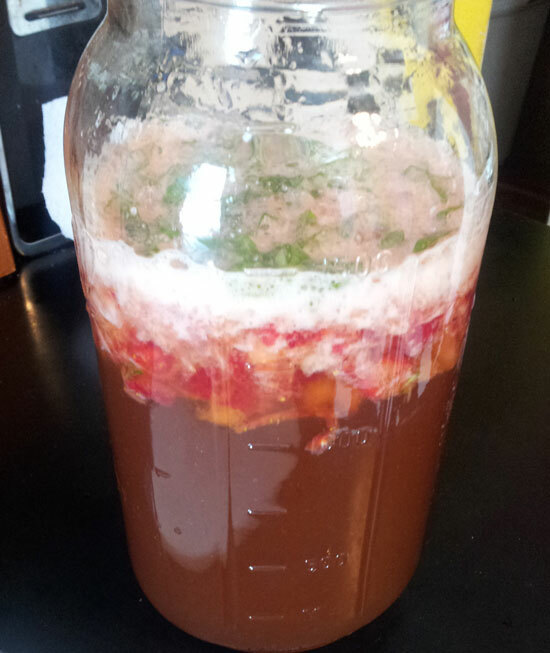 When your ‘bucha is as fermented as you like then the fun begins. It’s time to FLAVOR! 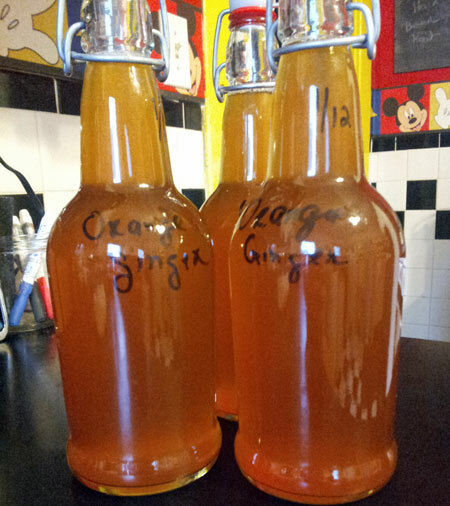 Bucha is good by itself, but add a secondary ferment under pressure and you get a fizzy yummy drink. 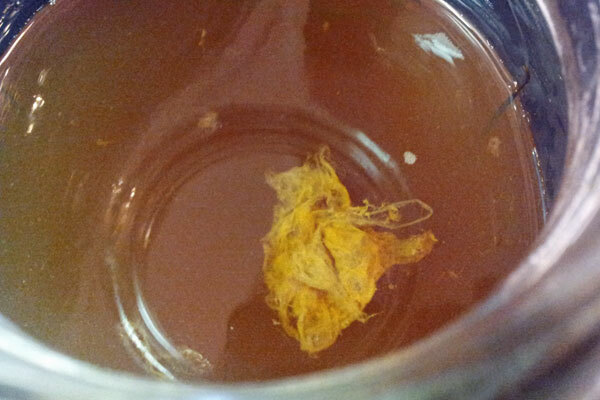 You can add dried or fresh fruit, or other tea leaves or even dried flowers. I also have used flavored sugar syrups. That there is some mushed up strawberries and basil. This is a little fancier. 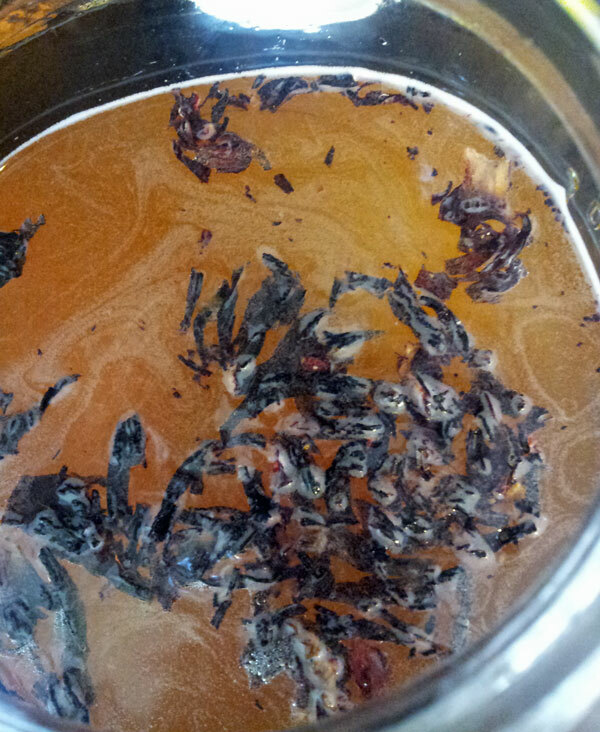 Hibiscus in Oolong tea. After two days, I strain that stuff out and bottle it and leave it at room temperature for a few days. This I made with the orange syrup left over after making candied orange peel. I added water to the syrup and boiled fresh ginger in it.. delish! The thing that nobody tells you about homemade bucha? It’s a living food.. which means it wants to make more goobies.. Sometimes even the bottles grow goobies. And the plain oolong that I didn’t flavor at all? It grew a scoby. 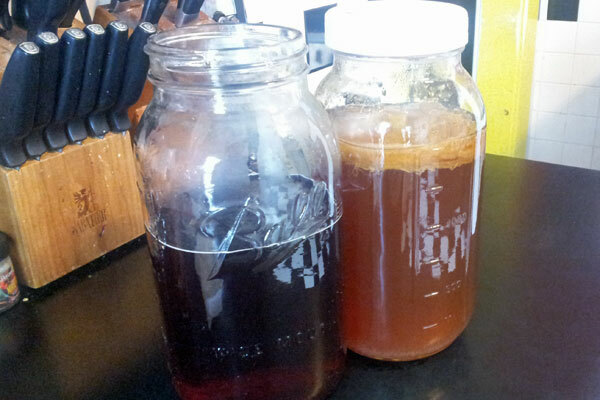 Counter Culture, Fermentation, kombucha. Bookmark. I have a confession. I’ve never made kombucha. I want to, but I haven’t. For me, it’s that “Put it someplace and don’t move it for a month,” or however long. In my apartment, that’s almost impossible. Ida thanks for your comment! I realized that I never stated how long I let my kombucha ferment. I updated the post. I usually let it go for about a week. I can’t imagine how acidic it would be after a month. That would be pretty vinegar-y. Would be good for salad dressing though. I brew kombucha too. 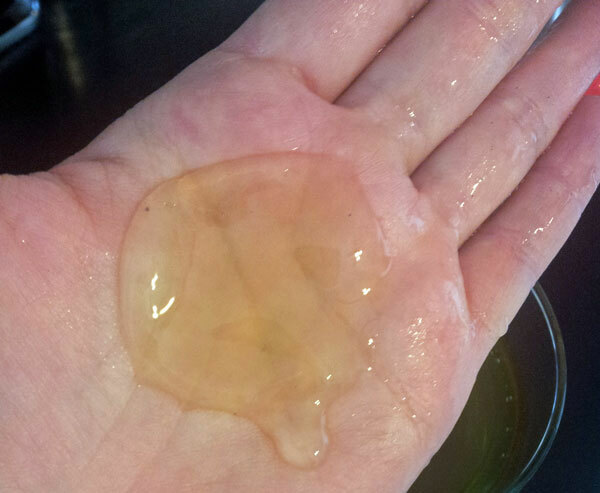 I don’t worship my SCOBY, but I do think it’s kinda cool and squishy. But mostly, horror of horrors, I too use Lipton. And cheapo generic sugar from the grocery store. Guess what, Satan has not stolen my soul, and my SCOBY doesn’t seem to mind, either, as evidenced by its insane lobby growing spurts. Wanted to thank you for your humor and your tips on flavoring, I keep wanting to try flavors, just haven’t mustered up the gumption. Soon! Happiest of times to you!